A high-end firearm and sporting store that raises the bar for the outdoorsmen retail environment. 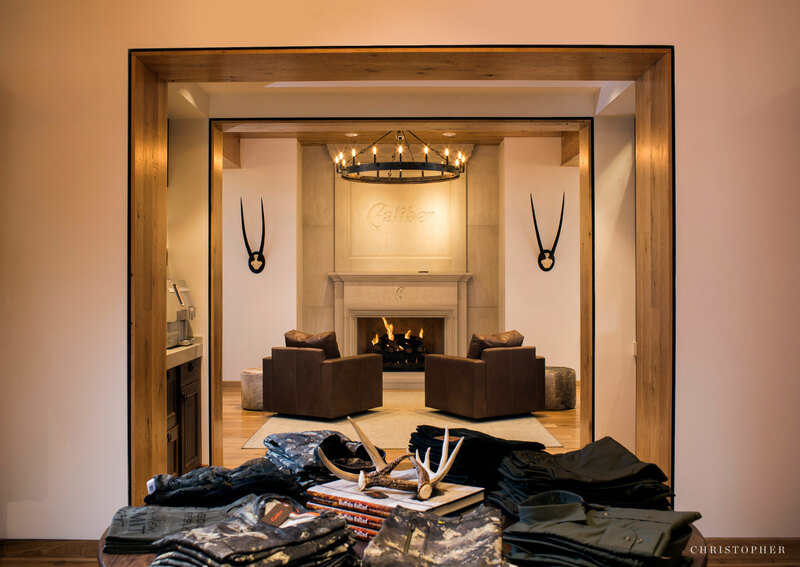 The team of Caliber owners and designers sought to create something unique, believing the store design could remind clients of the history, culture, and ambience of the classic sporting tradition. A modern exterior is juxtaposed with timeless interior elements and materials, including wood, concrete, stone, and steel, blended in a contemporary design reminiscent of more traditional hunting lodges. 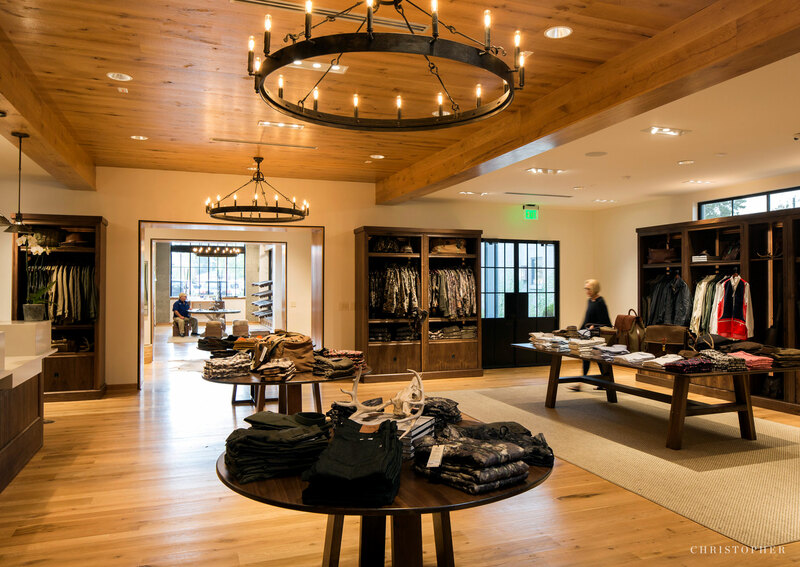 Keeping the elite outdoorsman in mind, the team designed an experience, not just a store. The exterior architectural design incorporates elegantly rustic materials. The interior design is organized around a central axis using repetition of wood-cased openings, wood beams, and light fixtures to modulate the space, while visually connecting various store departments and providing focal points at the hubs of activity. Fixture displays are elegant buy simple, not distracting from the exclusive merchandise. The design includes custom-built rod and fishing displays, custom-built gun and ammunition cabinetry, and custom displays for clothing and knives, combined with leather chairs and animal hid ottomans. Custom-built iron chandeliers and wood doors accent rugged concrete walls and reclaimed oak floors. Sitting areas include fireplaces, both inside and out, where clients feel they are in an upscale hunting lodge rather than a retail space. Near the custom limestone interior fireplace is a lounge area and a coffee bar to further enhance a sense of elegant familiarity encouraging clients to return again and again.